According to a recent study, State College comes in at second place among America’s smartest cities. Lumosity, a San Francisco-based research company studying human cognition, tested the memory, processing speed, flexibility, attention, and problem solving abilities of 3,385,648 people, ages 15 to 85, from all over America. State College is second only to Ithaca, N.Y., home to Cornell University and Ithaca College. The third smartest city in the U.S. is Lafeyette, Ind., home to Purdue University. In other words, if you exercise your brain by learning and completing memory, processing speed, flexibility, attention, and problem solving tasks throughout your lifetime, you’ll increase your brain power. Lumosity ”required a minimum sample size of 500 users for an area” and over 1,300 cities participated. The research was conducted through a series of games, adjusted for differing ages. From there, Lumosity scored and ranked cities based on the location of the volunteers' computer internet provider address. Lumosity also separated its study into several other categories. State College came in second for smartest age groups under 35 and ages 35-55 in mental flexibility and memory. State College took third place in attention, fourth in problem solving, and fifth in speed. 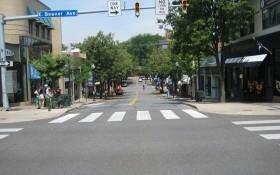 As for age groups 55 and above, State College was ranked 19th out of 307 cities. State College came in four spots above Ann Arbor, Mich. and 51 above Pittsburgh. Columbus was noticeably absent. Click here for the complete Lumosity Study. Megan is a writer for Onward State. She's from South New Jersey and has a passion for news. 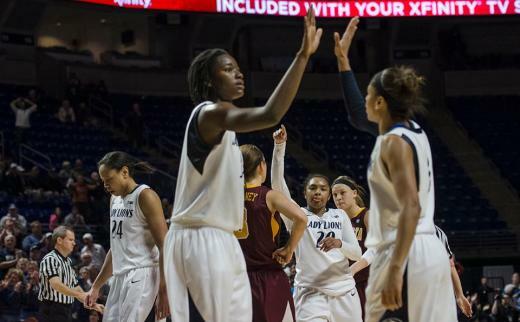 The Penn State women’s basketball team will put a long home court winning streak on the line early next season when the defending champion Connecticut Huskies visit the Bryce Jordan Center on Sunday, November 17th. The matchup against UConn highlights a challenging non-conference schedule that was announced Tuesday.